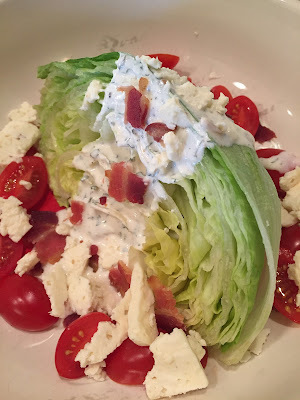 I love a classic wedge salad and often order it at a restaurant but never think to make it at home until today. It tasted so good! I don't use iceberg lettuce in most salads but it's a must for this classic. So when making this salad use cold iceberg lettuce quarters, good ranch dressing, ripe tomatoes, red onion, your favorite blue cheese and crisp crumbled bacon. So easy, fresh and tasty. 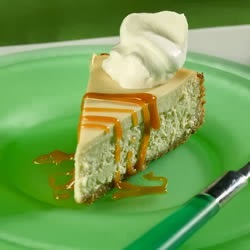 I'll be making this again soon....maybe tomorrow!! On each salad plate, place 1 wedge of lettuce, turned on its side. Pour dressing on wedge. Sprinkle with tomatoes, onions, crumbled blue cheese and crumbled bacon.